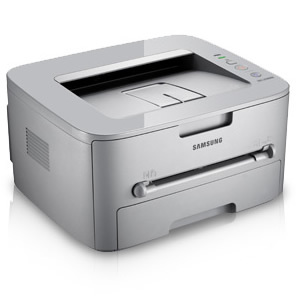 Whether you’re printing out a presentation for that big meeting or scanning a few favourite photos to send to family members, the versatile 3-in-1 Samsung CLX-3185 laser multi-function printer lets you do it all. And with absolute convenience. I’ve never used yet, but thank you. I use this software to reset my printer. after reset , my printer dosen’t 4 toners in devices even 3 of 4 them are still having ink insides. Only black color is empty and now printer can’t printer anymore because empty printer. What can i do? After reset, my page count for 4 toners is -1 and printer warns replace 4 toners. My toners are original and have not “toner chip” inside. Before i run this tool, i don’t remove 4 toners out of my printer but i removed all usb hub. It is still unable working and i have to put 3d party toner chip cost (10usd/ 1 chip) for each toner, it works and capicity still 1000pages , page count still increase. How can i slove this problems? Do I need match a serial number (Z5ZTBDAB800067H) which existed in your firmware? Según pone en alguno de estos ficheros, este firmware está echo para la CLX-3180. Y según tengo entendido, hay que meter el número de serie de la impresora que se va a flasear, en alguno de estos archivos con algún editor. Yo no probaría a hacer nada con estos archivos en vuestras CLX-3185. Will this v.36 firmware work? Will it cause issues with the fax and network features? What about the serial number, doesn’t it need to be put in somewhere? Yes, this v.36 is the same with yours, and it will work. There’s no problem with fax and network features or serial number. Hey ResetCounter, Why do reset firmware places ask for the serial number? Is there anyway to change the .hd file to show the right serial number? By the way, ResetCounter is awesome. Personally, I have done many of Samsung printer, I remember that It never asked for serial number. I think there’s no way to change .hd file. I have the CLX-3185FW, not the FN, I have been trying to reset the counters, however it goes thru the entire process but still show my toners as empty and the page count remain unchanged. I followed it tips about the USB and the 10sec power cycle, however it does not work for me. Are there are further tips I can use? Does your ResetCounter firmware work for mine? it works and with v35 fw? You can try upgrade to higher version (v36). Does your ResetCounter firmware work for CLX-3185WK? i can use this fix? reset also the drum? Hi, is it possible to have a reset firmware for a clx-3185fw? Hi, We have updated this post and upload new firmware for CLX-3185FW. usbprns2 write that’s write fail. anybody tried the CLX-3185FW firmware? Não funciona exprimentei numa clx-3185. Will this work with a clx-3185w? It is a wireless model, but no fax and no autofeeder. none of the two link for downloading the Reset counter for Samsung CLX-3185 and CLX-3185FW do work. HI, none of the links for the Reset counter for Samsung CLX-3185 and CLX-3185FW do work. Thank you for report broken link. We will update it soon! Could you please update the link to download the firmware?